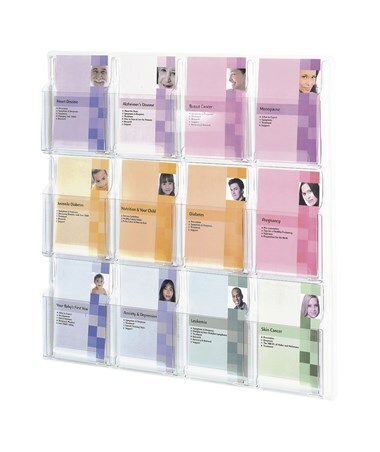 The Safco Reveal 12 Booklet Display is a great unit for presenting and organizing booklets in an easy and simple way. It is thermoformed which means it is made as one piece with no sharp edges or corners. 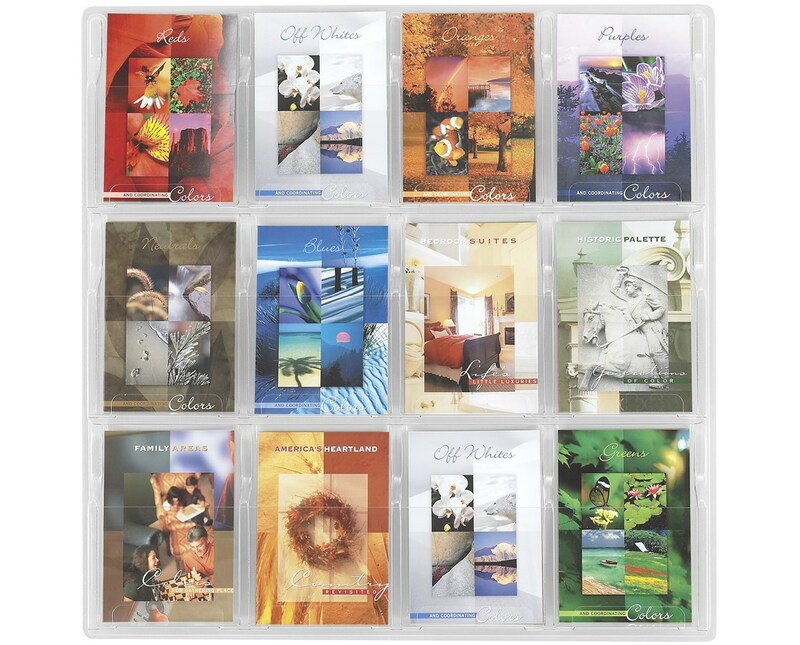 Each pocket is 6 ½ inches wide and 9 1/8 inches high and is able to fit 1 ¾ inches thick of material. 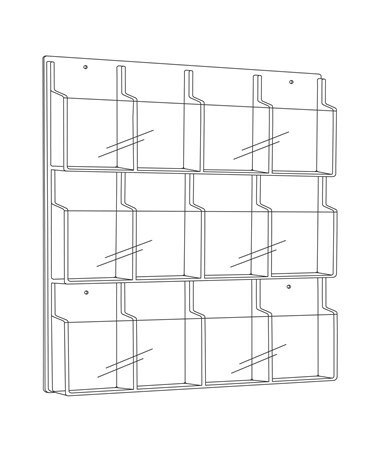 Also included are mounting hardware to make the mounting of the display on walls easier. 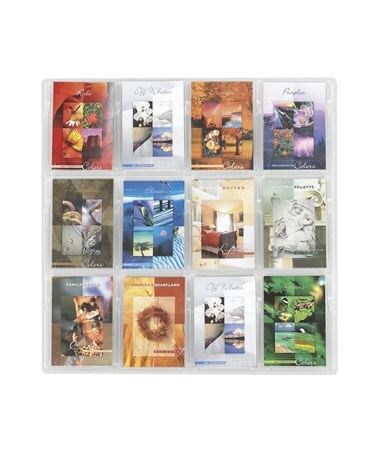 This wall-mounting booklet display is made of 2.25mm thick Polyethylene Terepthalate Glycol (PETG) plastic. It is GREENGUARD certified for low chemical emissions.